Investments, want to receive a predictable return and are interested in preserving your capital. Investing in a debt fund would give almost similar low risk traits but at a higher return than that of a bank fixed deposit (FD). If you are an investor who primarily invests in bank fixed deposits, chances are high that you focus to minimize risks on your investments, want to receive a predictable return and are interested in preserving your capital. Investing in a debt fund would give almost similar low risk traits but at a higher return than that of a bank fixed deposit (FD). If you are investing in FD’s here is an opportunity to learn more about debt funds and make more. Interest rate risk; which affect a scheme due to movements in prices prompted by changes in macro-economic conditions such as inflation, increased government borrowing, fluctuations in the value of the rupee against major currencies as well as other developments in the global scene. Credit risk: which incur when the securities held by the fund are downgraded or an occurrence of default in payment by the issuer of such a security? Illiquidity risks occur when the securities held by the fund cannot be liquidated at the value price, due to markets being insufficiently liquid to absorb the sale of such securities. Debt funds can be broadly categorized into three sub-categories based on their risk profile and segregated depending on the holding period required prior to netting a return. Liquid funds: These are designed for investors who want to maintain investments for a relatively short time but seek a higher return than what is offered on bank savings accounts. The schemes invest in money market instruments that typically mature within 91 days. They have a lower credit risk and a lower the interest rate risk. Short Term Bond Funds are a variation of liquid funds which have a portfolio maturity duration of one to two years. A bigger portion of this type of portfolio funds are invested in one or two year papers typically of investment grade (bonds having low risk of default) and are give an average return that is 1-2% higher than prevailing rates. They derive returns from interest accruals, and are higher than the returns generated from liquid funds. These funds are appropriate for investors who seek stable returns and with less volatility in the interest rate. 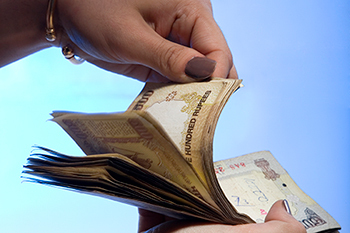 Credit Opportunities Fund schemes invest in lower rated papers, thereby expose investors to some level of credit risk. These papers normally mature within three years in order to lessen the interest rate risk on the portfolio. The fund portfolios are not liquid, expose the investors to market risk and typically have punitive exit loads to discourage investors from exiting. However, the returns are stable and higher than returns in short term bond funds. Investors can also venture into income funds, gilt funds or dynamic bond funds depending on their risks and return preferences. Consult a financial advisor to identify a debt fund that works best to deliver your goals and return expectations as per your risk appetite.